Duncan Wooldridge researches the history of the experiment, and is interested in the proto- and extra-photographic, and the ways we struggle with the limits of photography and what some of those terms might mean. He is an artist and writer, and is Course Director of Photography at Camberwell College of Arts, University of the Arts London. He writes regularly for Artforum, Art Monthly, 1000 Words Magazine, and Elephant. In 2011 he curated the exhibition ‘Anti-Photography’ at Focal Point Gallery, and in 2014 ‘John Hilliard: Not Black and White’, at Richard Saltoun in London. 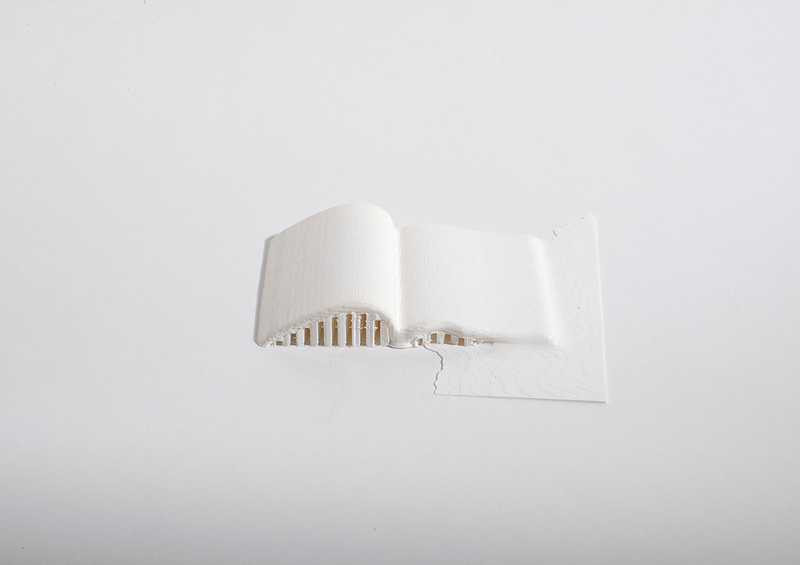 Federica Chiocchetti: First of all thank you for letting us premiere your ‘On Paper – Book-Object’. It might seem an unusual choice for a platform devoted to photo-text relations to feature an artwork where both are absent. However it was precisely their mutual non-appearance that captured my attention. When I saw it at Offprint in Paris I stared at it for a while in silence. For the first time in a long while I was actually wondering what it was exactly that I was looking at, precisely from an ontological point of view. Then you smiled and I asked you loads of questions. The first was the simplest: what is this fascinatingly weird little white thing? Could you tell us a bit more about how it came to exist in your mind and then in the physical world, including the key steps of the process to make it – if you want to reveal them of course? 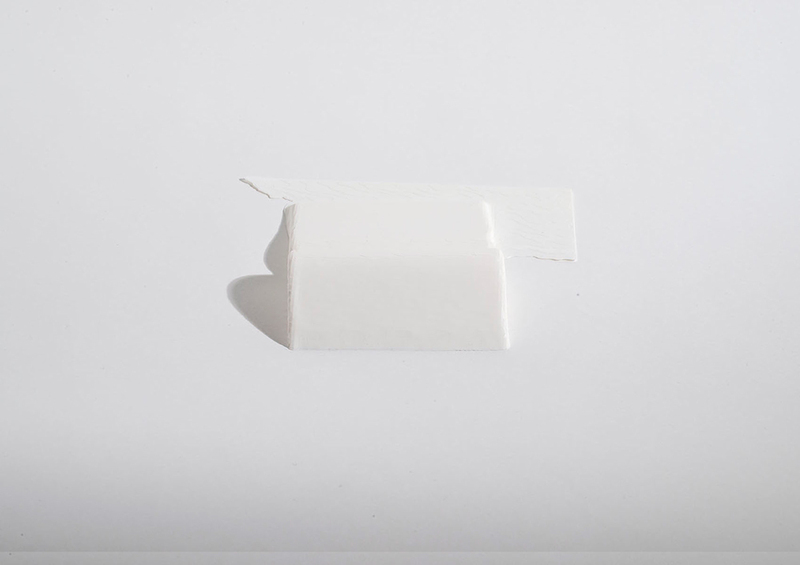 Duncan Wooldridge: The material and the immaterial: paper for me is a rare object that traverses those spaces – it is sometimes material, sometimes immaterial (this is partly perceptual, partly ontological). 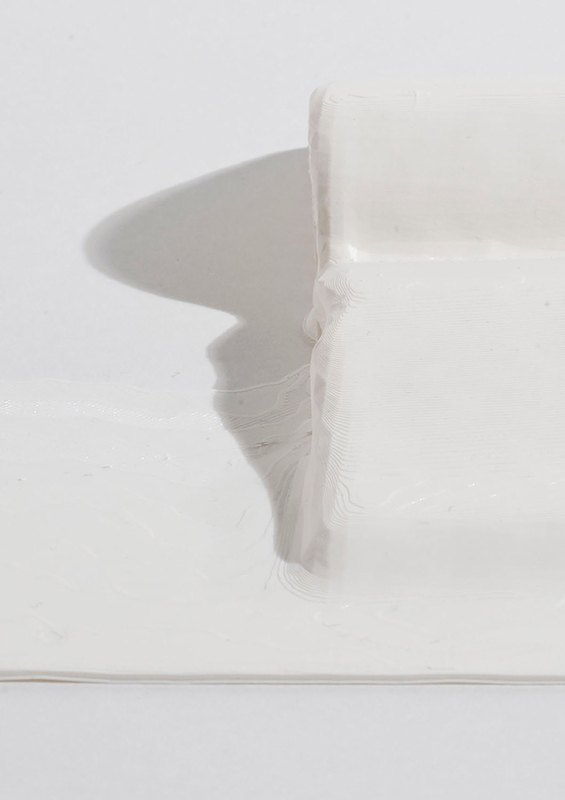 For the past three years I’ve been thinking about paper, its function as object and subject, as support, and what it means to say something is ‘on paper’ – the slipperiness of that phrase. 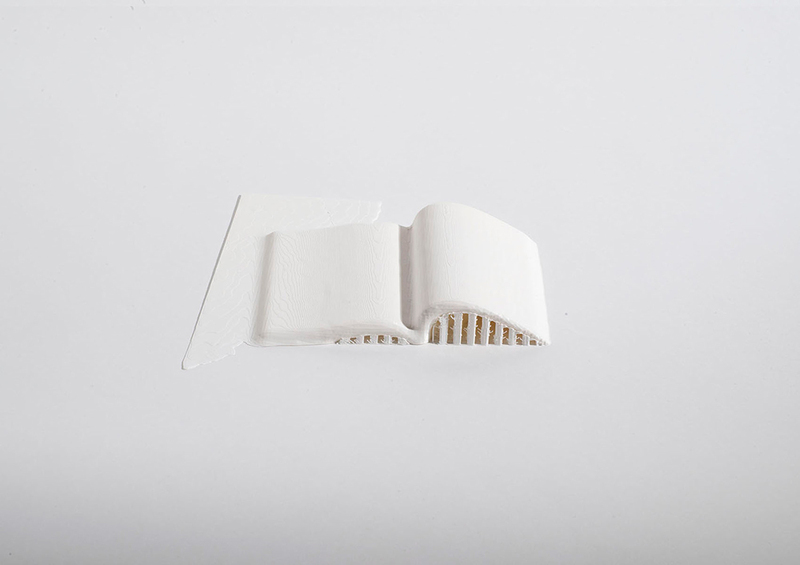 One day I found a book that was made up of 3D templates. It was made for designers, so that they could develop a logo, and apply it to all kinds of templates, to see what it would look like when rendered. Boxes, shopping bags, mousemats, folders, sheets of paper. I was staring at all of these blank objects, which were waiting for things to be placed upon them. 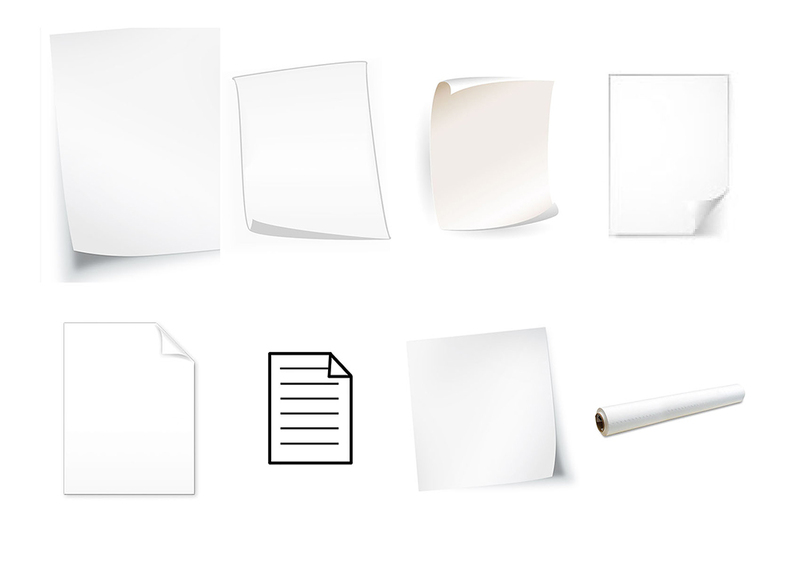 Since then, I’ve collected from the internet images of blank paper, drawn by designers on computer, most of which must be templates – like those in the book, and some of which are icons, like the mac and windows icons for documents. 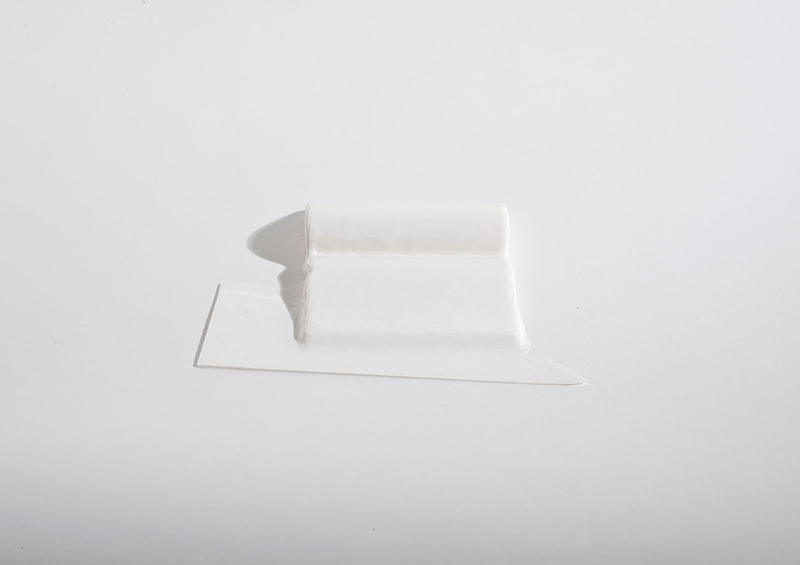 I search on google: ‘blank paper’ They all emphasize their materiality – a curved corner, a fold or wrinkle. They’re blank and not blank. They exist in a dance between the actual and the virtual. 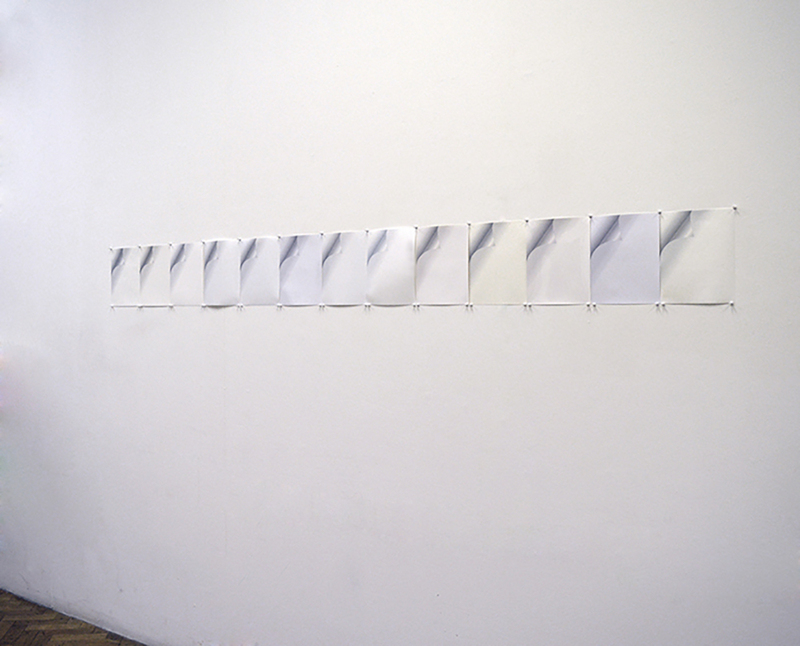 I’ve made a few works about paper in that form: I’m making a loose-leaf folio of all the ‘blank’ sheets. I’ve made work by printing one of the virtual images out by going to a lab, and having the same image printed on every paper stock they have. And then last year I started to 3-D scan paper. It’s a camera with 3 lenses, quite lo-fi. I started with paper balls: the technology is lossy, and it takes some practice. I scrunch up paper balls, scan them, and make 3D prints. For me that’s an extended form of photography. The 3D software is ultimately bound up in representation, depiction. It’s hard to make it stutter. It is mostly binary: it either sees or doesn’t see. 3D printers are pretty similar: you get a 3D print or you get a long coiled string of the material. When I was experimenting with scanning paper, I made a scan of a book. It doesn’t matter which. It’s an ur-text, a book and not a book. The result was the book you’ve seen. 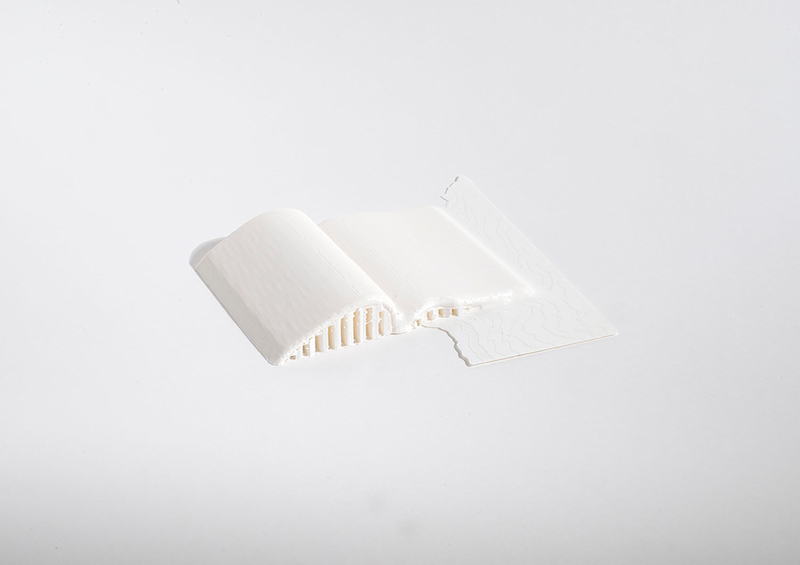 It’s a book, but it’s also an architecture, and a liquid object. A book from a roll. On the book you see the polygons from the three lenses, and a you can see the layers of the printing, a topography of the book. You can see how it is made – I left the structure which holds up the book (it can be removed), and of course there is the recognition error, where the book joins the surface of the table/ground. FC: it is indeed quite fascinating this idea of a book degeneration or expansion beyond itself, what you call the recognition error, especially if you think that this particular ‘book’ does not contain any words… how should we interpret this lack of content? DW: I’m interested in containers, and I’m interested in the sensitization of the visual field. Joanna Lowry described Gabriel Orozco’s work as a series of containers, and I think I’m interested in something similar. I think it’s strange for photography to be so sparse, but I’m interested in it as an object, and as a material, as well as as a depiction. You can’t neglect the fact that photography is a chemical, optical, and industrial object. I’m interested also in stretching the notion of what might be a photographic technology. A spectrophotometer making customized paint is a kind of photograph (a monochromatic one). Recently, I’ve been reading Armin Medosch’s excellent ‘New Tendencies: Art at the Threshold of the Information Revolution’, which goes back to the formation of a global network of artists groups in the late 1950s and 1960s who applied strategies of abstraction and concretism to science and technology, in order to produce resistant social practices – a complex set of things! What is so interesting about those groups is that they identify a need to get back to grips with structures, materials and detail, because the world’s they have seen – the aftermath of one war and the full lived effects of another – came out of what they claim is a bloated individualism, an inability to see our material reality, and a way of working towards an alternative field of social relations. I can’t think of a better echo for the present. New Tendencies (as a kind of umbrella network, containing many groups) switch from concerning themselves with the old dialectic of form and content, form becoming content, by exploring a relation between code or structure, and its manifestation. They form into groups and networks and exchange practices – they were even connected to Toni Negri and Italian workerism and those debates, and to Umberto Eco – he wrote about some of this work in 1962, which influenced ‘The Open Work’. I think we’re seeing a rise of forms of exchange and alternative practices, and also a need to properly see the technologies we’re using. FC: How do you see this artwork in the long term? I think it is opening a way to work for me personally, because it potentially marks a key point in one project – my work on paper, to something potentially expansive. But I hope for this work that it can be seen as an object that crosses and facilitates discourses across disciplines: photography with literature (and the history of experimental and also blank books), photography and literature with technology (in its ‘consumer grade’ form), and perhaps ultimately to research, forms, and materiality. I’ve been taking some time to think about it since I showed it for the first time at Offprint, and I’ve realised I really enjoy intervening in that space. A key point for me taking it there was to present an alternative manifestation of the book to a fair that I greatly enjoy, but which is also, of course, a place of fetishism and speculation. I took my paper ball sculptures to the version before that, and I want to continue to present alternative forms of the book and the photograph in that context, as well as within the space of exhibitions. FC: How long will it last conservation wise? Does it matter? DW: The material of this work is relatively volatile, and conservators have said it’s lifespan is precarious, perhaps 30 years. I don’t think this matters for two reasons: firstly, in true photographic fashion, what we have is a material that is reproducible. It’s written into its process. I play with that – there are only three books, and one earlier, smaller artists proof – and each paper ball sculpture I only print once (it’s a technology of print-on-demand, after all). If a version is damaged, I don’t mind printing it again: it’s a choice for the owner of the work. 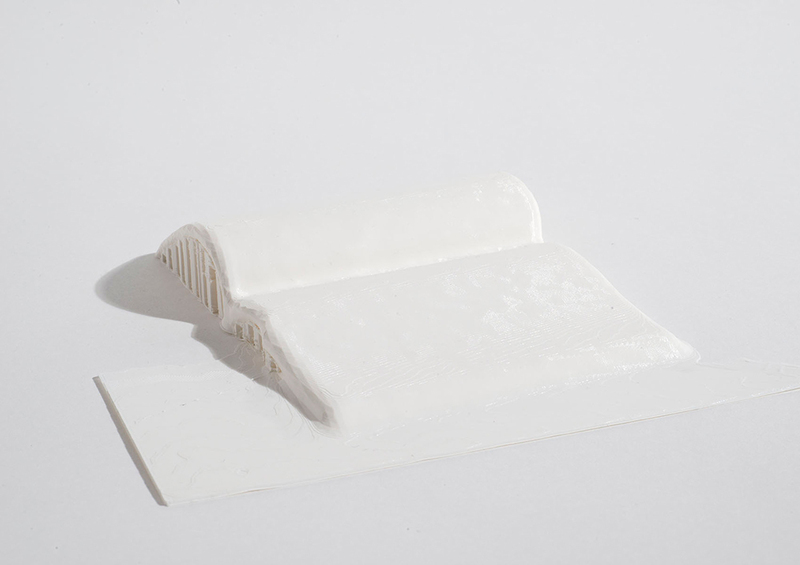 Increasingly there are more stable materials, and this work is about the form of image of the book produced by the scan. When the work is about the material it was printed with – the result would need to be more specific. Secondly, so much of this is not my decision after making the work. I have in my mind the example of an artist like Eva Hesse, who was a great experimenter with new materials. As she demonstrated, you’ve got to experiment with new materials sometimes as an artist, and I wouldn’t want to not make the work for such a reason. It is what it is. Hesse’s work has discoloured and has become brittle, but it’s both important as artwork, and important as a reality of the time of the work’s making – those materials are temporary and they speak of that time. I’m working with what is available at an everyday level – that’s a form of reality as far as I am concerned.